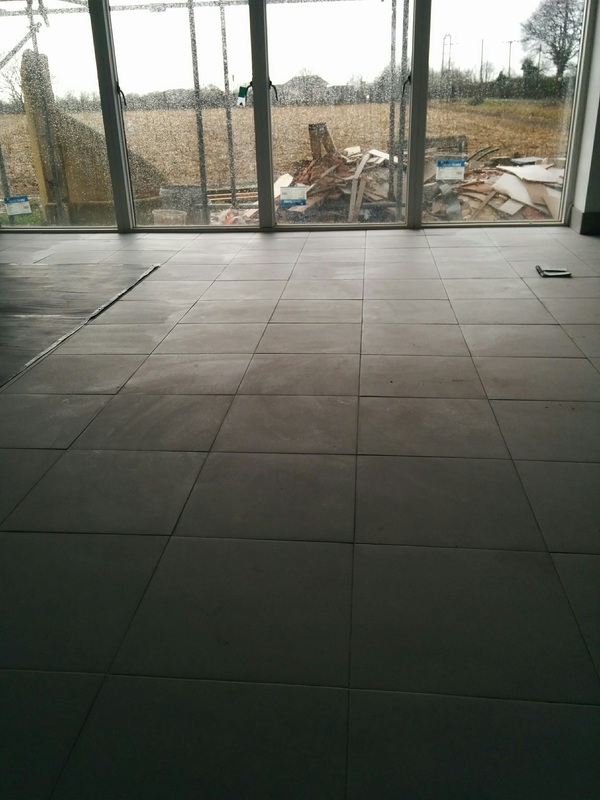 We have just had a large area of tiling laid (around 50 sq m of 450 x 450 porcelain floor tiles) for our large open plan kitchen area. To my untrained eye, the quality of workmanship appears unsatisfactory. 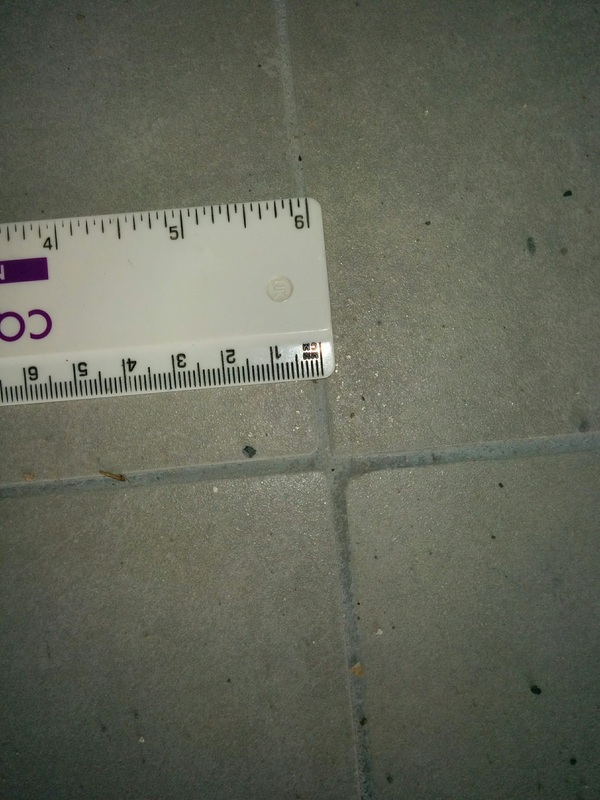 However, rather than saying to the subcontractor "this does not look good enough to me" and then arguing about what good should look like, can anyone offer advice on some objective measures for a professionally laid tiled floor ? For instance, how level should it be? 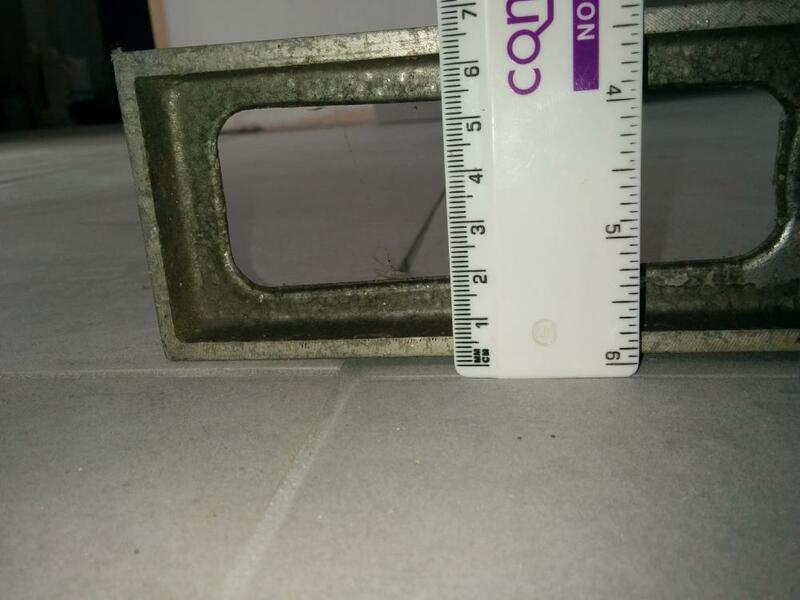 how straight the gaps between the tiles should be? If the response from the subcontractor is "it was the tile quality - specifically their varying thickness" - what would be considered to be an acceptable tolerance for 450 x 450 floor tiles? Maybe an idea to post up some pics? We have just had something similar done 50+ m2 of 60x60 tiles. The the tiles are all perfectly flat and perfectly aligned to my eye. Will do in the daylight in the morning. It would annoy me if a trade realised a problem with the materials and carried on regardless without telling me. No excuses, if your not happy you must articulate this right away...especially with tiling. Is this onto a new slab? 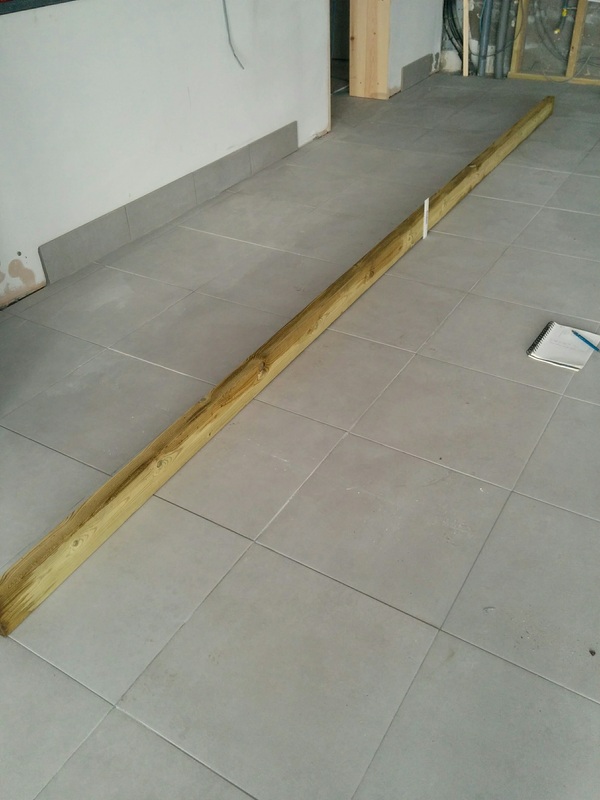 Get a nice STRAIGHT length of 4x2 around 8' long and sit it across various areas of the floor. That'll show any 'kickers' and undulations in the laid floor. What exactly has you worried? If the tiler supplied them then it's his problem, if you supplied them and he was on a price to lay them, then it's your problem. The issue is, is it bad materials, or poor workmanship, or a poorly levelled surface,? I went to tile a bathroom with Wickes brand tiles. I got about a box and a half into laying when I realised they differed in size almost per tile. 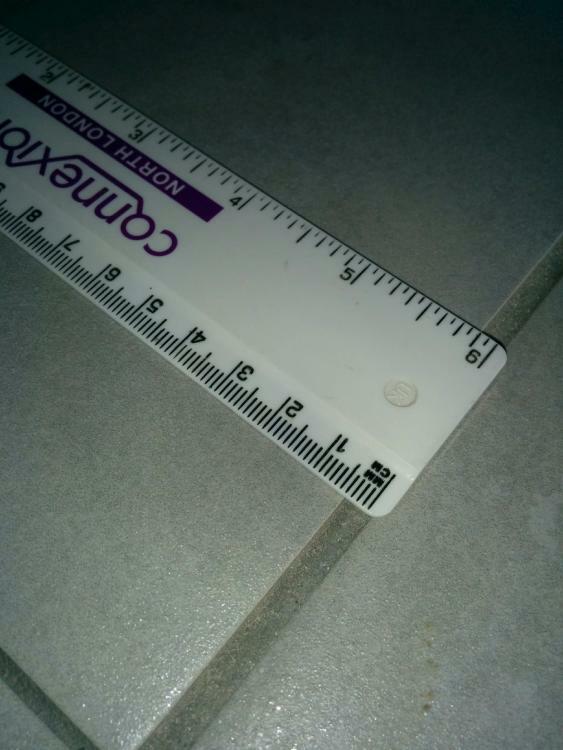 As much as 1.5mm per tile. I removed the tiles and washed the adhesive off the back of them and told the customer that I was not going to fit them as it would look like I was pissed when doing so. Dont know if she returned them but I never got called back. Likelihood is that she nipped down the pub, got someone who WAS pissed, gave him £60 and got the same tiles laid. Not on my shift sorry. I won't have a bad product make me look like a chump, so let's see some pics and see what the problems are ? . 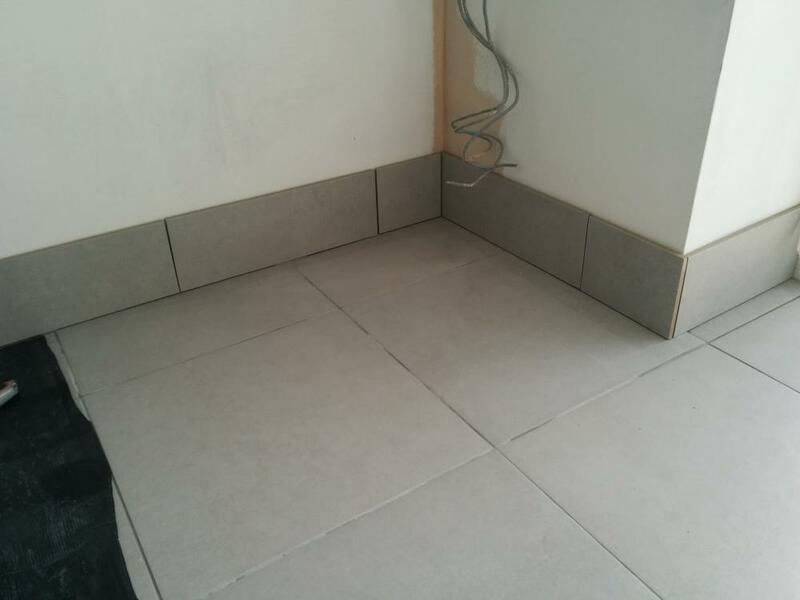 @Nickfromwales, my first experience of Wickes brand floor tiles was much the same, I took back around 5 boxes of tiles that were clearly bowed and just not flat, out of 7 boxes I bought. I spent around half an hour going through their stock to find flat tiles, as I'd already started laying the floor when I found the bent tiles. These were rectangular tiles, 600 x 300, which I think was part of the problem, as they were all bowed up on the long axis. When I tiled the WC a couple of months ago I used Wickes 300 x 300 floor tiles and they were all fine. When it came to buying the travertine for the new house, the supplier guaranteed that it was all honed to a consistent size and thickness, and although it was a couple of pounds per m² more, it was worth it, as the tiler laid it all very quickly and without any problems at all. Have a look through this, it gives a max tolerance of +/- 3mm over a 2m straight edge. Not really much excuse for flatness as with a decent adhesive bed you should always be able to even it out. 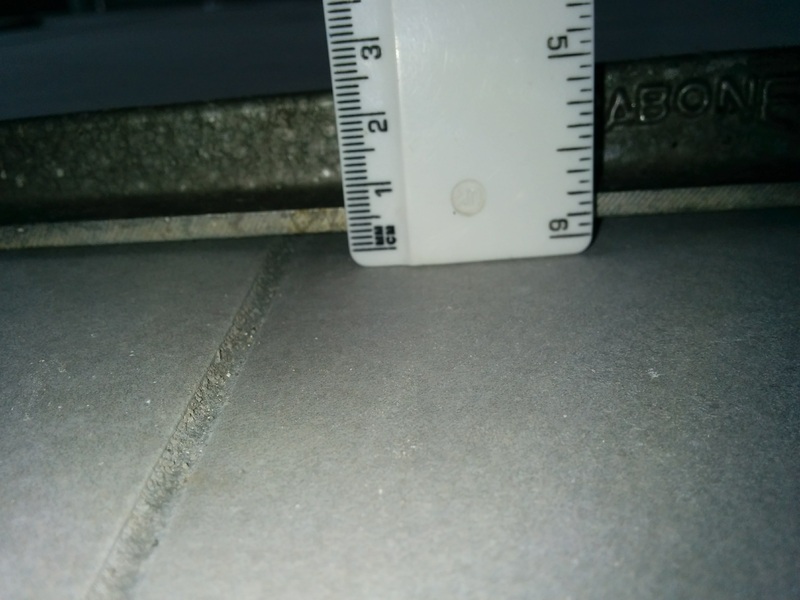 Joint thickness is difficult as it depends on tolerance of the tile but i agree with earlier comments that you would like to think he would have stopped and spoken to you once he realised there was a problem. 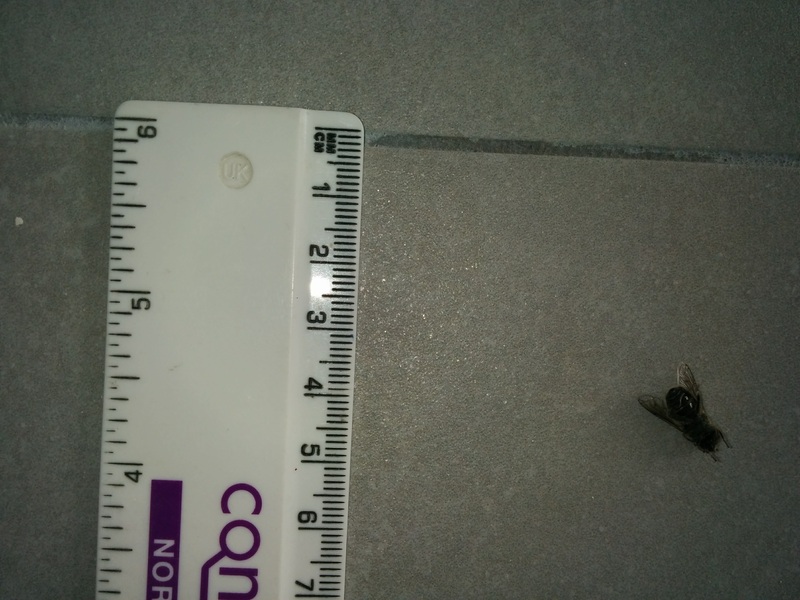 This doesn't bode well for the Homebase CERAMIC tiles my missus wants for the floor! 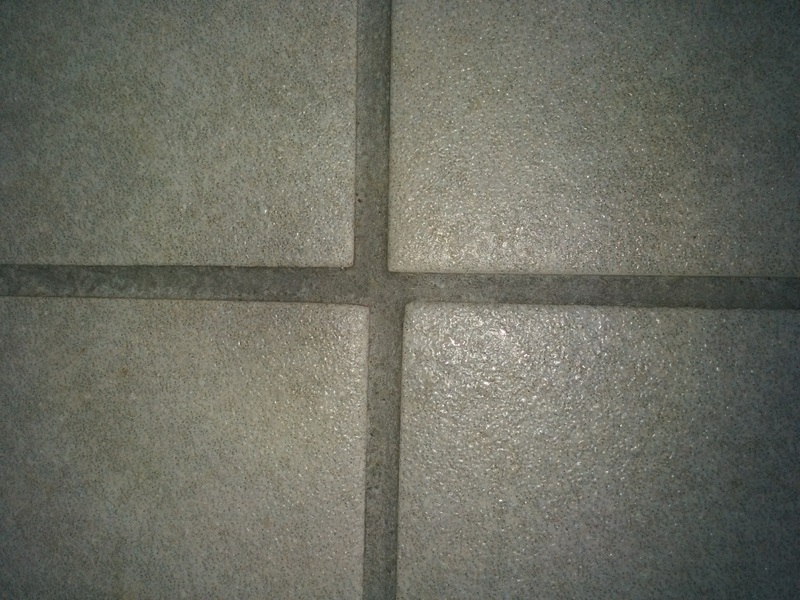 Tile joints should be straight in alignment unless the tiles are, by design, irregular in shape. 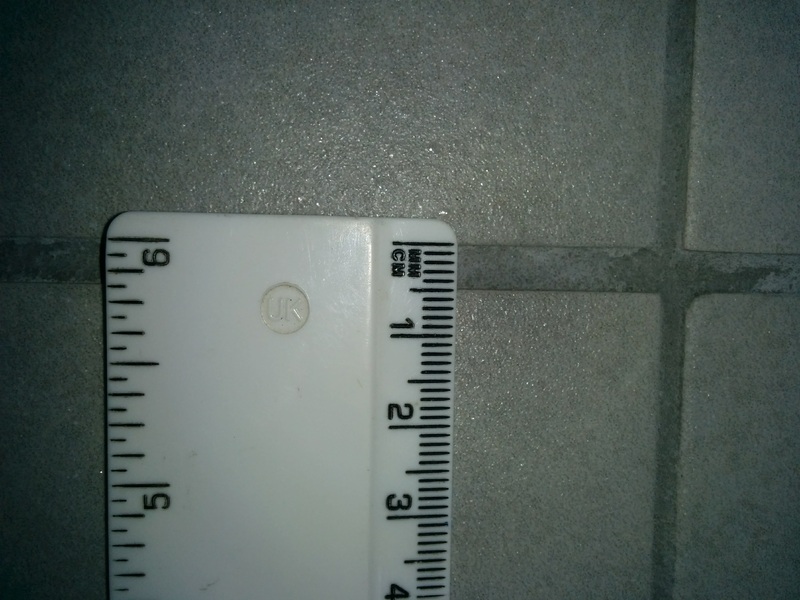 The width of floor tile joints should not be less than 3mm, unless otherwise specified by the manufacturer. 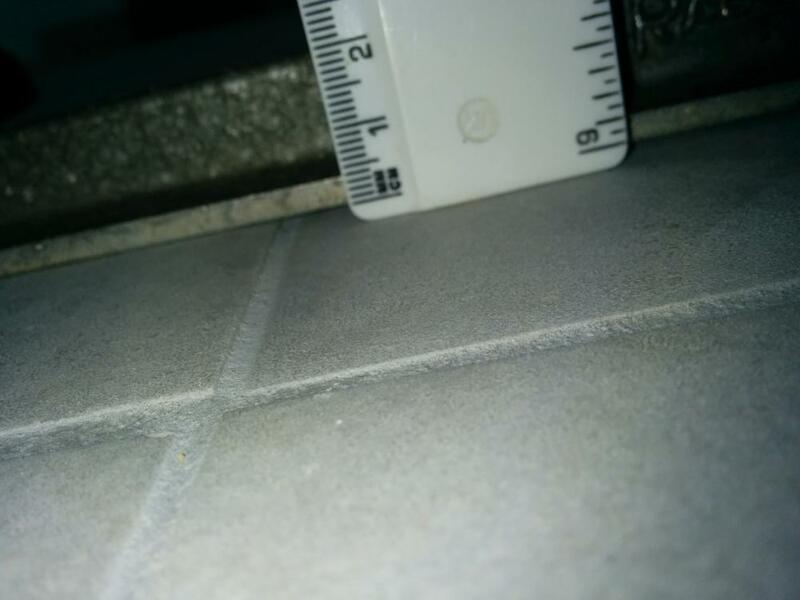 Joints in floor tiles should generally not exceed the tile thickness, but wider joints, up to 10mm, may be necessary to accommodate dimensional irregularities in some tiles. 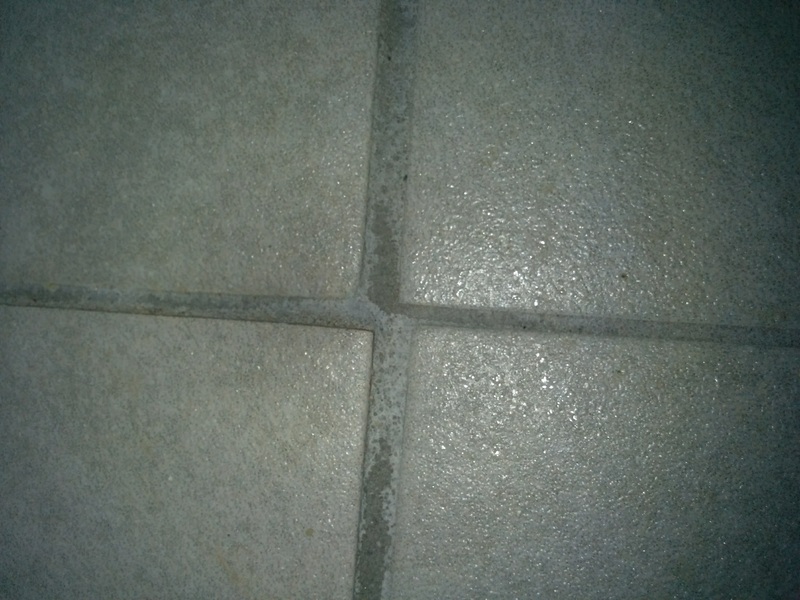 Where tiles have dimensional irregularities, the joint dimensions should be “evened out” to maintain a regular appearance." I would say that 80% have joint sizes of 2mm. However there is significant variation. (b) overall variation in surface level of wall and floor tiles ± 3mm maximum deviation from a 2m straightedge with equal offsets. That's bloody awful! I'm a rank amateur when it comes to floor tiling, but if I'd laid a floor like that I'd be ashamed of myself. 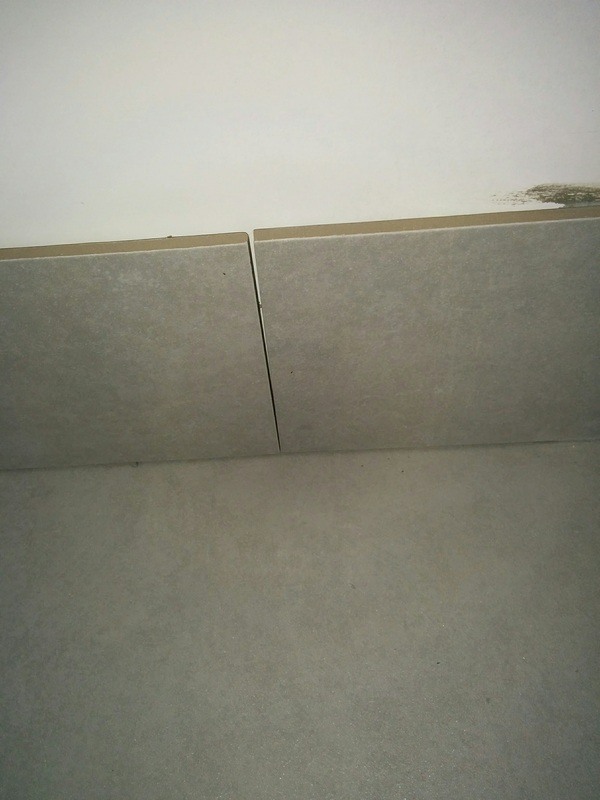 Even given the small dimensional differences between tiles due to the manufacturing tolerance, it isn't usually hard to gently change the joint lines to accommodate them before they build up to the level of misalignment you've got. If it were our floor then it would be all coming up and be done again properly. That's not pretty, I'm not sure how a professional could do such a poor job. I guess you now need to decide what you want to happen next. 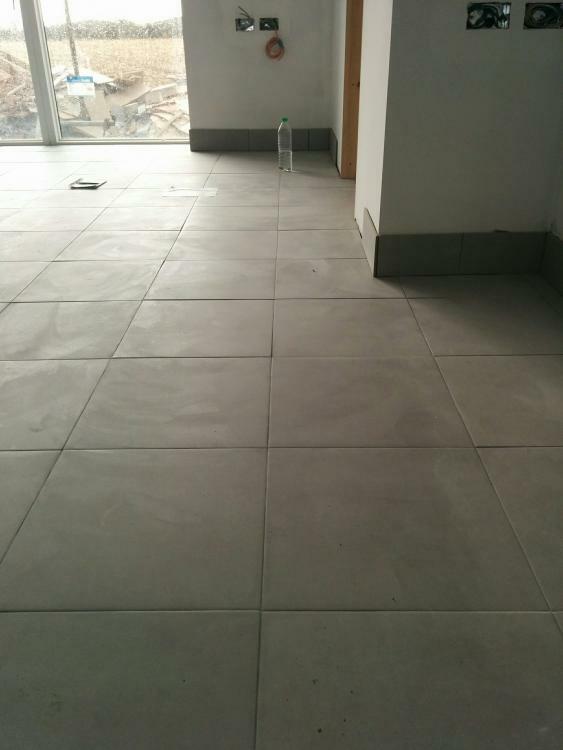 Even if the floor was piss poor, and the tiles different thicknesses, there is absolutely no excuse for those joints, or gently tapering up to meet the other floor level. That does look pretty amateur, difficulty is if you have supplied the tiles then your only recourse would be to withold payment for laying. Not good, some pretty poor tradesmen around at the moment!! "I guess you now need to decide what you want to happen next. " I am employing a Project Manager for this build. He is hiring in subcontractors to do the work. So far, having spent about £300k for a 240 sq m house, we haven't really had a problem, and have now started 2nd fix. Unfortunately, in this particular case, the subcontractor used is a close relation of the PM, which makes matters somewhat awkward for all concerned. 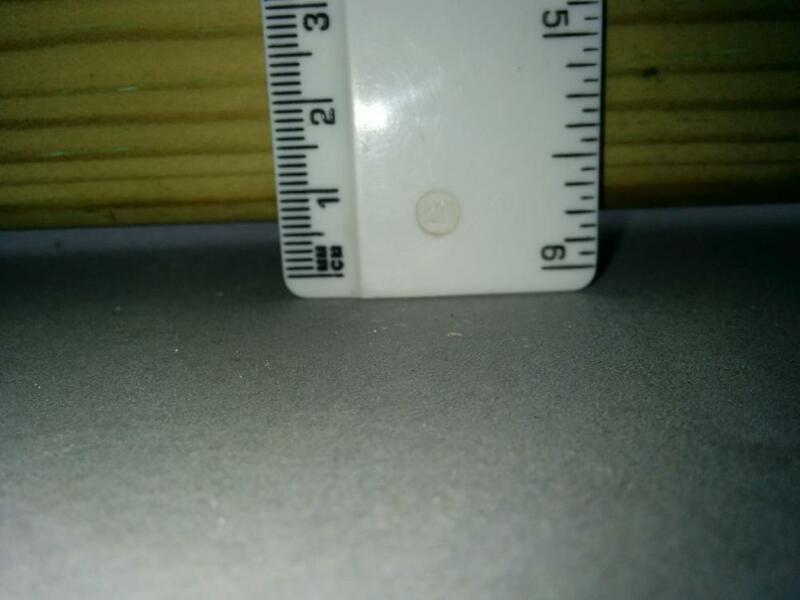 What is going on in the picture with the patio door in that looks like a dip of around 20mm is your slab that far out of level or is it the camera angle. The rest of it looks horrific. With regards putting a straight edge on it and measuring under it this is only any good if the slab is level in the first place, adhesive is not designed to compensate for an unlevel floor slab. I don't think you can put too much blame on the tiler for unlevel, but its totally unacceptable for adjacent tiles to not be flush with one another. I actually feel sorry for you to have been put in this situation. The fact that the tiler is a close relation to the PM makes it even more shameful on the both of them. Stick to your guns and have it out with them or you will always hate that floor. There's no excuse for the job they've done there! Oh dear if that was my floor I would be sitting in the middle of it sobbing. You can't live with that it's awful. I feel very sorry for you. did his guide dog help out or just let him get on with it? i wouldn't be happy if i'd done that, in fact i wouldn't have done as badly as that, and i hate tiling. you cannot accept that, and i agree with the slab looking hollow at the door. a good tiler should have been able to fix it though, just proves he was incompetent. Is the long length of timber though a good enough straight edge when it comes to an argument? Even MY WIFE wouldn't be happy with that.